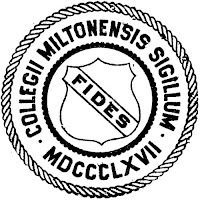 One Eternal Day: "To thee and thy mandates..."
I graduated from Milton College in 1968. 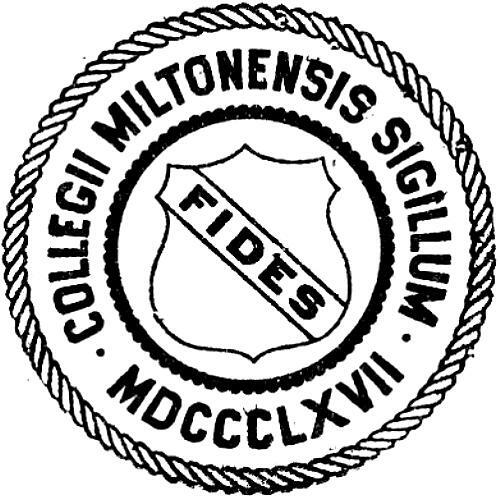 Milton was one of the oldest colleges in Wisconsin, chartered in 1867 (Milton Academy dated back to 1844). The college closed its doors in 1982 having accumulated much debt and never having any significant endowment. The buildings on the former campus have been re-purposed in various ways, for example the former college library is now the Milton city library. My grandfather attended Milton early in the last century. My father graduated from Milton in the 1930s. Both of my parents spent almost all of their working years as members of the faculty there. I never even considered going to school anywhere else. 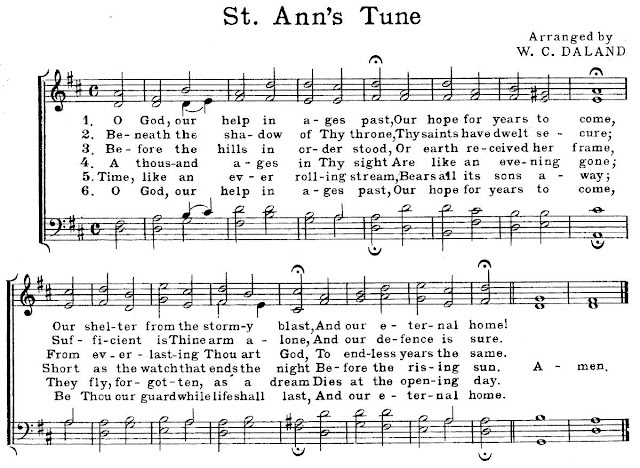 I inherited a copy of the Carmina, a Milton College songbook published in 1928. The second entry in the book is "Our Colors," Milton's alma mater with words composed by Milton's second president, W.C. Daland. The college's colors were originally "the Brown and the Blue" but by the time I was a student they had become gold and blue, supposedly because it was easier to acquire athletic uniforms in those colors. 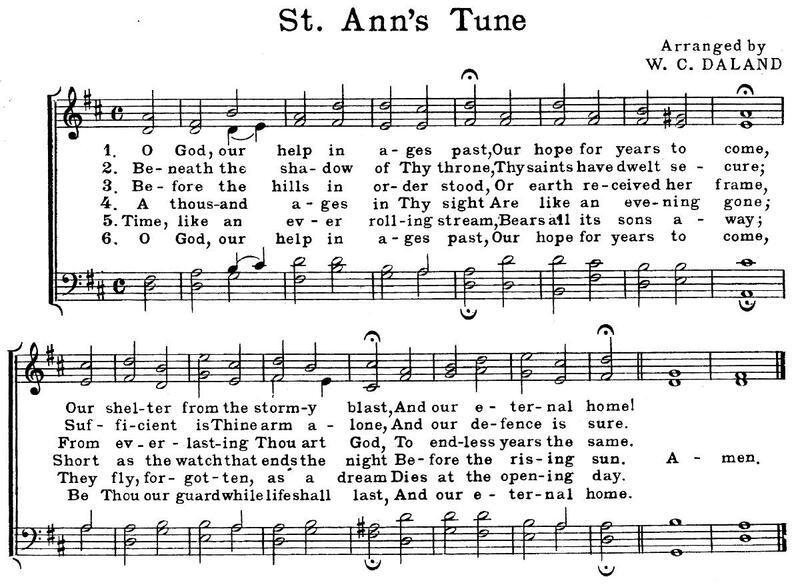 Later in the book comes "St Anne's Tune," actually Isaac Watts great hymn "O God Our Help in Ages Past," the hymn that I remember being sung as part of every commencement ceremony. 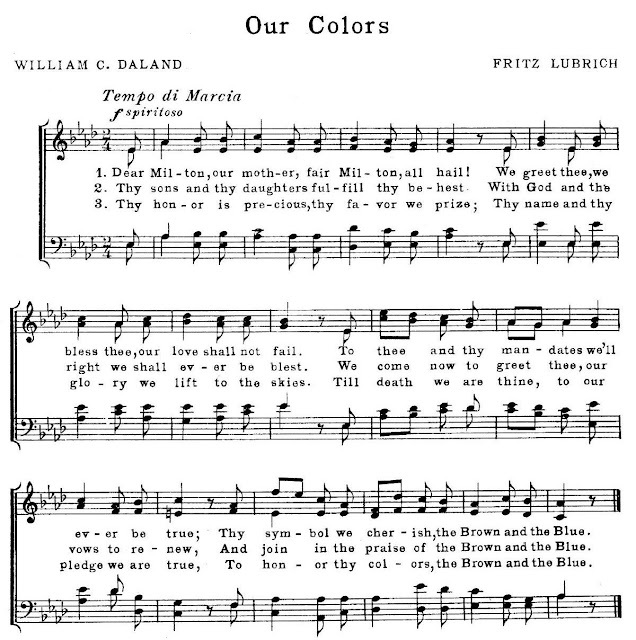 It is found here with an arrangement by W.C. Daland.